BANDA ACEH, Indonesia — Almost a decade after a devastating earthquake and tsunami killed 170,000 people in Aceh, voters in Indonesia’s northwestern-most province are gearing up to have their say in today’s presidential election. The December 2004 tsunami devastated large parts of the province and flattened much of regional capital Banda Aceh. But it also paved the way for a long-sought peace agreement between Acehnese separatists and the Indonesian government, signed in 2005. The deal gave the region “special territory” status, giving it greater autonomy than other provinces of the vast Indonesian archipelago. With fewer than 5 million of Indonesia’s almost 250 million people, Aceh does not loom large in national elections. How the territory votes is unlikely to be decisive, unless the contest between presidential candidates Prabowo Subianto, a gruff, former special forces commander, and Joko “Jokowi” Widodo, the soft-spoken governor of Jakarta, comes down to the wire. But Aceh’s importance in the national context is more than symbolic given that the region was the site of a long-running conflict in which kidnappings, grenade attacks, curfews and shootings were a reality for three decades as separatists sought to break away from the Indonesian state. Today, greatly improved relations between Aceh and Jakarta mean that voters in the province view national elections as more relevant to their lives than before — though opinion remains divided about how much the vote matters locally. Kurniawati Nia, a 28-year-old English teacher, said that life in Aceh is now better than during the 30-year separatist war waged by the Free Aceh Movement, known by its Indonesian initials GAM — a campaign often met with savage reprisals by the Indonesian Army. 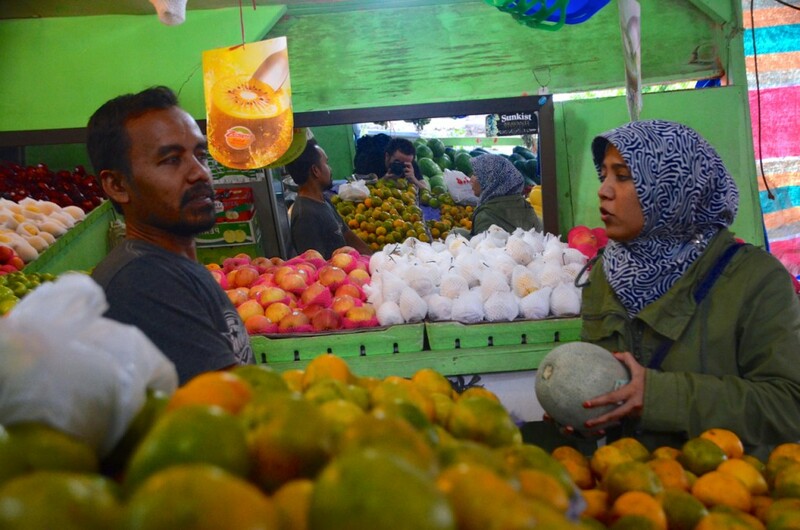 “We can now live safely, (have) no curfew, and we can do our business freely,” she said while shopping for fruit and vegetables at a roadside stall in Banda Aceh. Teuku Panlima runs the Country Steakhouse restaurant barely a kilometer from the capital’s mosque. The diner proved popular with Western aid workers who passed through town in the years following the tsunami. “People here are interested in the election, for sure, and I think turnout will be high,” he said, mentioning the proliferation of campaign posters and billboards around Banda Aceh that feature the two candidates and their local backers. Panlima, who grew up in Japan before moving to Aceh, said there might even be too much focus on the national elections. That, he said, could be detrimental to Aceh, which is less affected than other provinces by who is in office in Jakarta, due to its greater autonomy. “Really, what happens in Aceh, how we develop the economy, how we go forward in the future, that is 75% down to what we Acehnese do ourselves,” he told the Nikkei Asian Review. 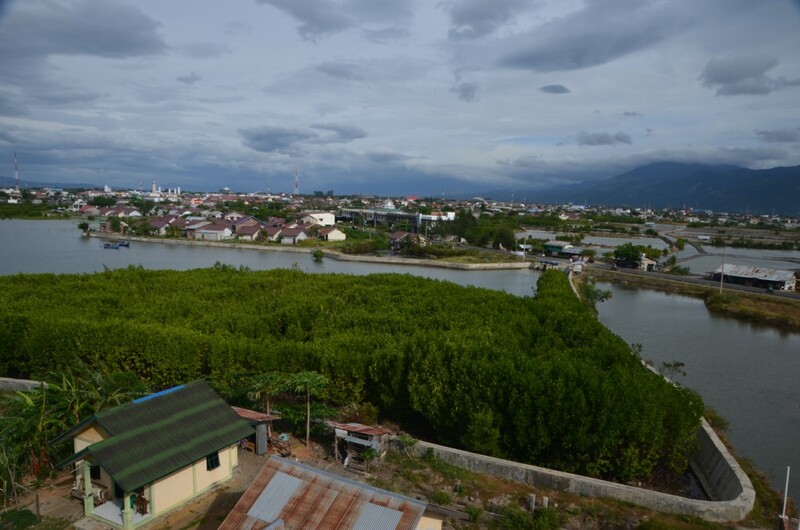 Banda Aceh is a three-hour flight from Jakarta, while the trip to Penang or Kuala Lumpur in Malaysia — the only two foreign locations with flight connections to the city — takes around half that time, a reminder of the distance between Aceh and the capital on densely populated Java. In Indonesia’s last presidential election, in 2009, nine out of 10 people backed former general Susilo Bambang Yudhoyono, the winning candidate. This time, Aceh’s voters appear to be almost evenly divided. Partai Aceh, which emerged from the separatist GAM, confirmed its status as the biggest local party in Indonesia’s national legislative elections in April, and is backing Prabowo for president. However, the party lost ground in the parliamentary poll, compared with 2009, and Joko Widodo’s running mate, Jusuf Kalla, is popular in Aceh because of his role in bringing about the 2005 peace deal. “I think that Aceh will go 60-40 for Jokowi. I hope so anyway,” said Fajar Zulfikar, who runs Aceh’s “We Love Jokowi” campaign, one of the many social media-driven support groups wokring to get the vote out for Widodo. Others in Banda Aceh believe that Widodo will win more narrowly, his margin reduced by Prabowo’s alliance with the region’s former freedom fighters and by the support of former President Megawati Sukarnoputri. Megawati is the leader of the Indonesian Democratic Party of Struggle, which won the most seats in the April elections. She was also the president who introduced martial law in Aceh in 2003, a move which cost him local popularity. Across Banda Aceh, banners featuring Prabowo are in the majority. Nationally as well as locally, opinion polls suggest that the former general has significantly closed an early popularity gulf with Widodo, in part because of the widespread perception that Indonesia needs a strong leader at the helm after a decade of an often vacillating government under the outgoing president. As if to reinforce the point, just two days before the poll, a small group of Prabowo supporters in their 20s zoomed by on motorbikes outside the “We Love Jokowi” office. Pillion passengers turned to wave banners and point to Prabowo badges on their chests, shouting, “Prabowo strong, good for Indonesia,” as they passed by, their drivers slowing down so the message could be heard clearly over the rasping engines.